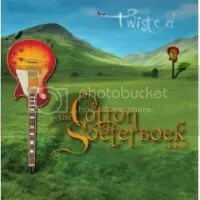 The Cotton Soeterboek Band mixes Southern rock (think Lynyrd Skynyrd) with 1970s bluesy British metal (think Deep Purple and early Whitesnake) with great results. The musicianship is tight and Robert Soeterboek’s vocals are powerful and soulful and often, they remind of David Coverdale. “Set Me Free” could have just as easily been a Deep Purple song and is a great way to open the album. I know a song is good when it gets stuck in my head and I found myself, over the past few days, humming this song despite not having listened to the album in days. I find “The Game” has the same effect on me. “Colorado” is probably my favorite track though, very catchy and this is where Robert sounds like Coverdale the most. All told, if you’re a fan of Deep Purple, Southern rock or early Whitesnake, this is definitely a band worth checking out. The songs are strong, catchy and very refreshing to hear in this age of doom & gloom hard rock & metal. This album is good time rock ‘n’ roll and that’s all a person ever really needs.